This image is stunning, right? This is my dream hair shape and length. Remember how I said I wanted waist length hair, when stretched, ultimately? Now I'm not so sure that I want that much hair anymore. I started thinking and that's a lot of hair! I think I wanted it so much in the beginning b/c I wanted to prove something; that Black women could grow beautiful and long hair. 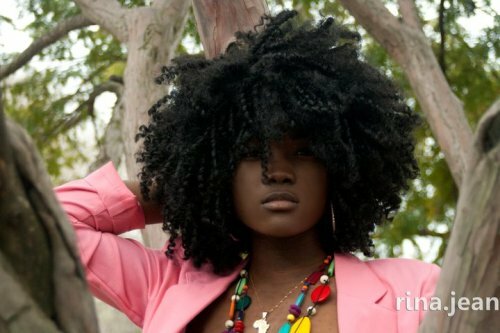 I now know Black women can grow our hair as long as any other race rather our hair is in its natural state or chemically straightened. So, I feel like it's not my duty to prove this. Lol. I do want to continue to inspire but I feel that I should be able to do that without striving to be the natural hair Rapunzel. I think I'd be happy maintaining my hair MBL, mid-back length when stretched. That would put me at about shoulder length kurly/koily. I think that's more than enough hair for me. This is my new goal. 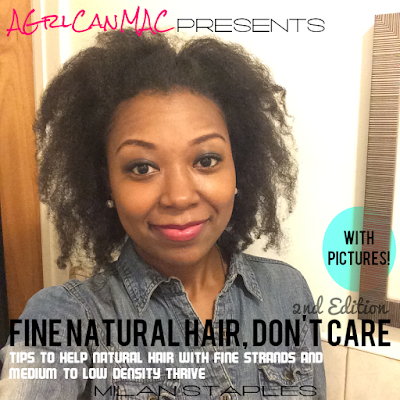 Have your hair goals changed since you first went natural? truth be told---i'm going to just embrace and enjoy what i have--i think some women put too much emphasis on length instead of just going for a healthy head of beautiful hair--just my thoughts---remain blessed my friend! Omg, my hair is cloiled like that on ONE side today, lol! If I can achieve her fullness, I have arrived!!!! Gawgeous! when i first bc'd sept 2009, my goal was to grow it looong! i was obsessed to have long hair. however, as it got longer i realized the more work it is :( needless to say, i did another BC jan 2011 and im enjoying my twa even more the 2nd time around becuz i didnt appreciate it the 1st time! !